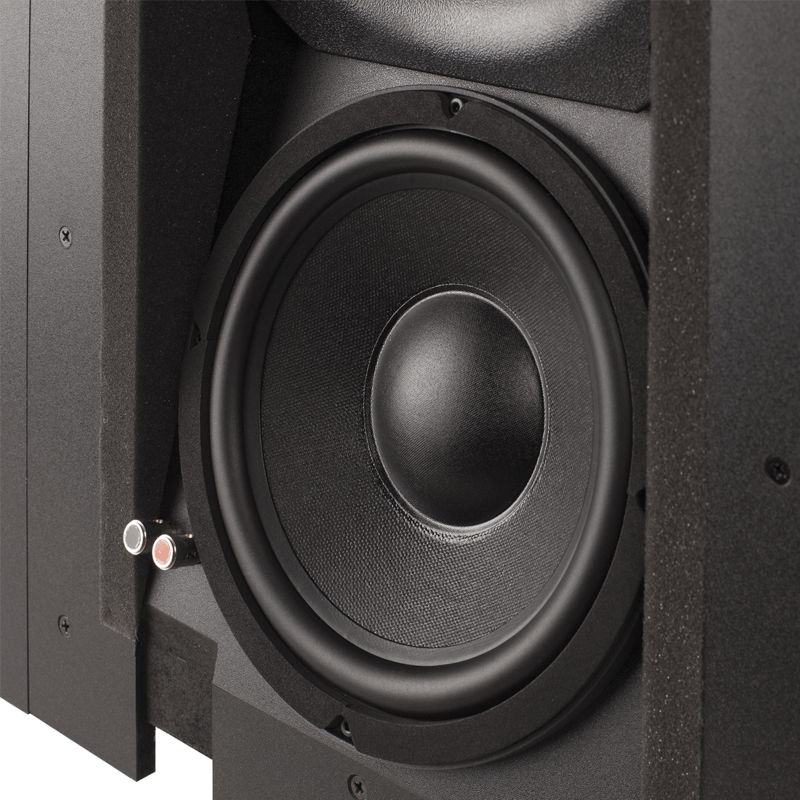 P8iW is designed to be used for Dolby Atmos/Auro3D speakers. 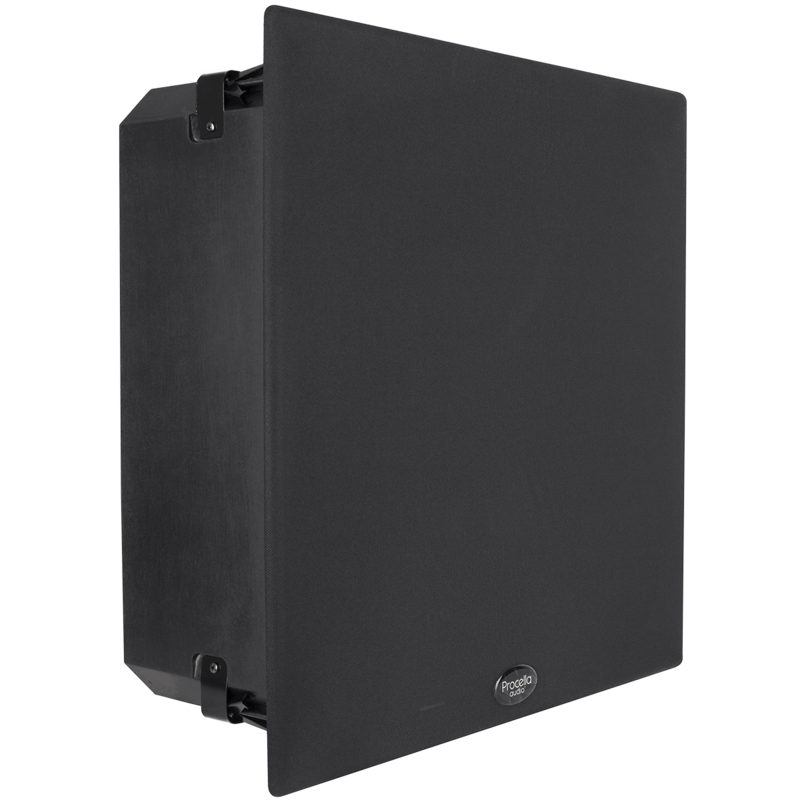 The P8iW is specifically designed to be used in immersive sound systems, as wide-left or wide-right speakers, as hidden surrounds, or as in-ceiling Atmos/Auro3D speakers. 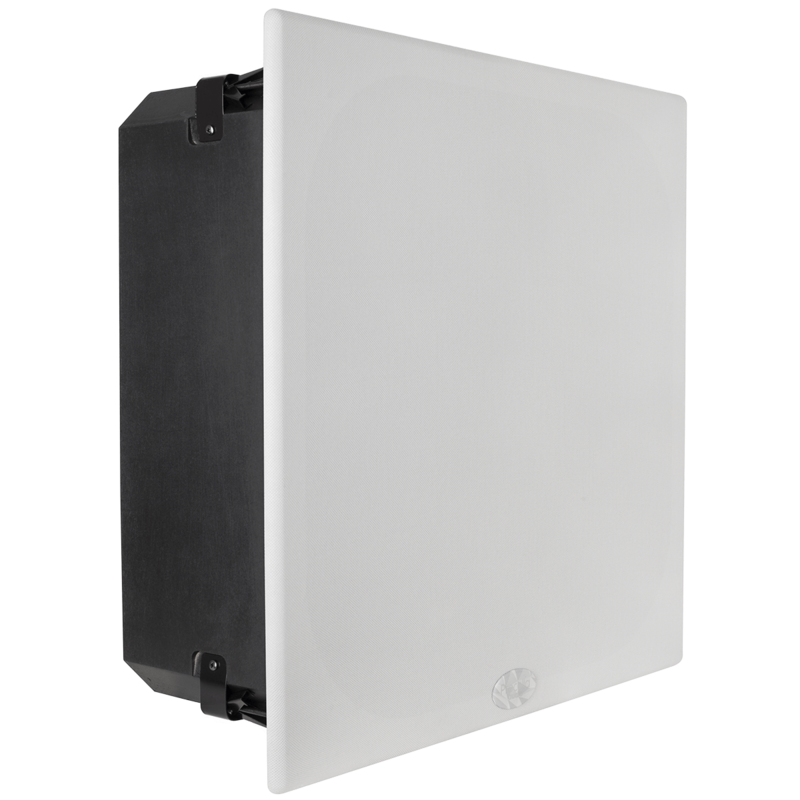 The angled HF waveguide and the square grill shape allow the designer to simply rotate the P8iW to achieve the desired dispersion angle for each position. 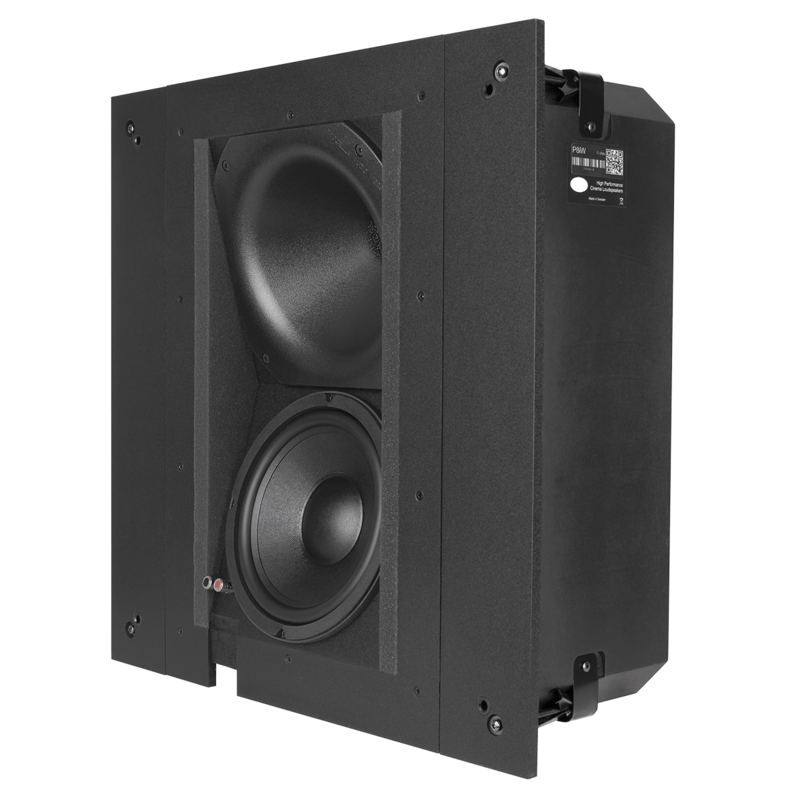 The P8iW is capable of 122 dB of continuous and 128 dB of peak output. 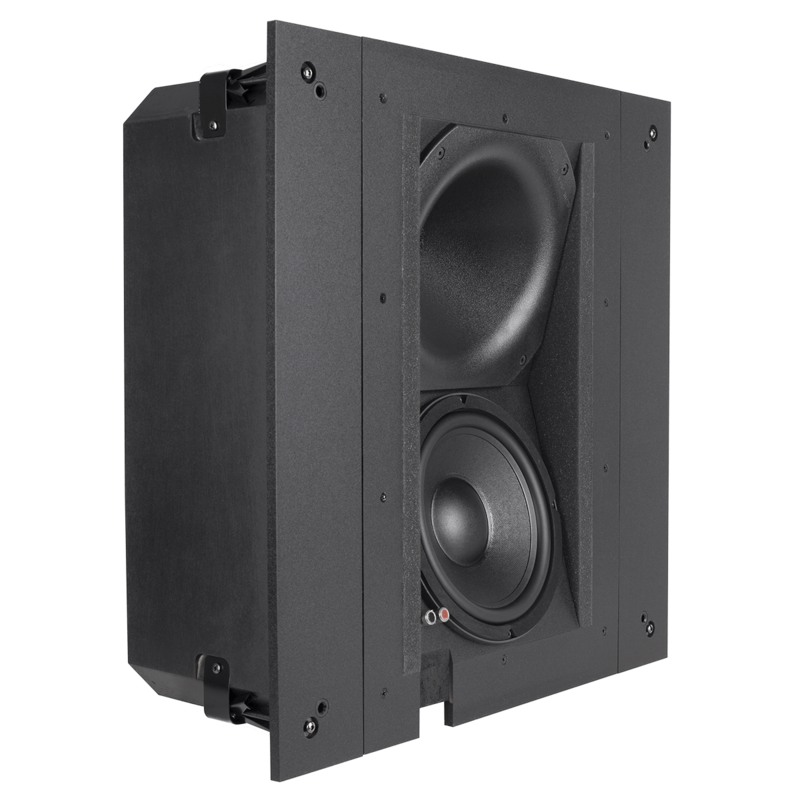 Based on the award-winning Procella P8 loudspeaker, the P8iW is highly flexible and the optimal high performance in-wall/in-ceiling solution for Dolby Atmos, Auro-3D, and DTS:X immersive audio systems. 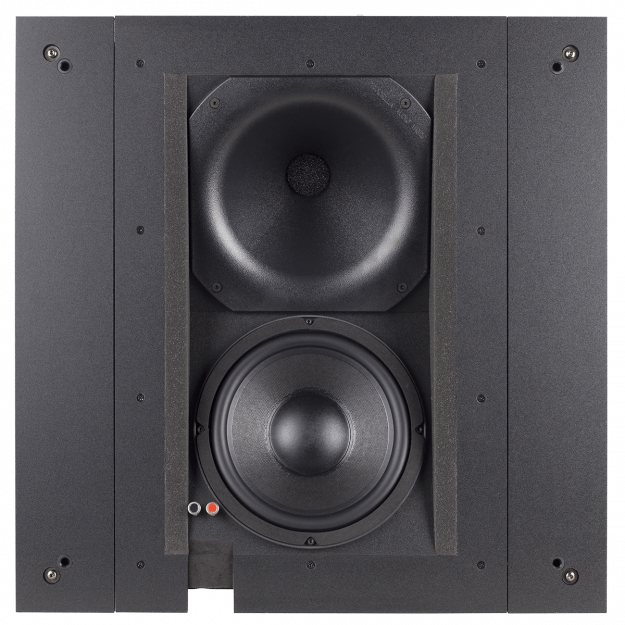 Its tweeter and waveguide are angled at 15 degrees, giving designers the ability to place all speakers to provide optimal dispersion, whether used for a Top/Height channel, a Wide channel, or an ear-level Main or Surround channel. 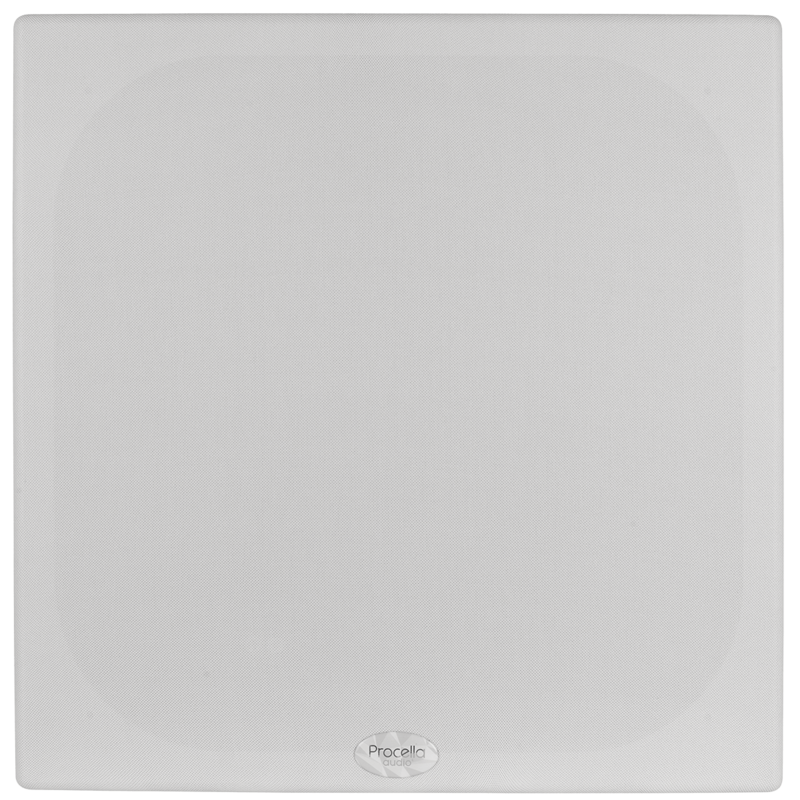 The key is the P8iW’s circular waveguide and square enclosure/grille shape. 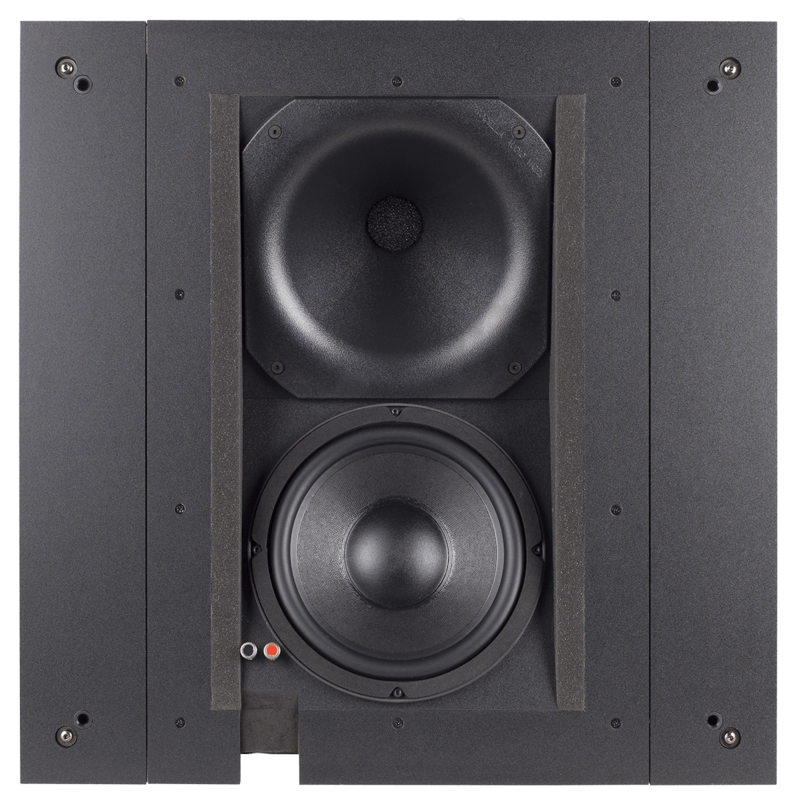 Regardless of the number of channels in a system, each speaker can be oriented so that its high frequencies are directed towards the listeners, while its grille remains visually symmetrical with all the other speakers, whether the speaker needs to be aimed backwards, forwards, sideways, or down. 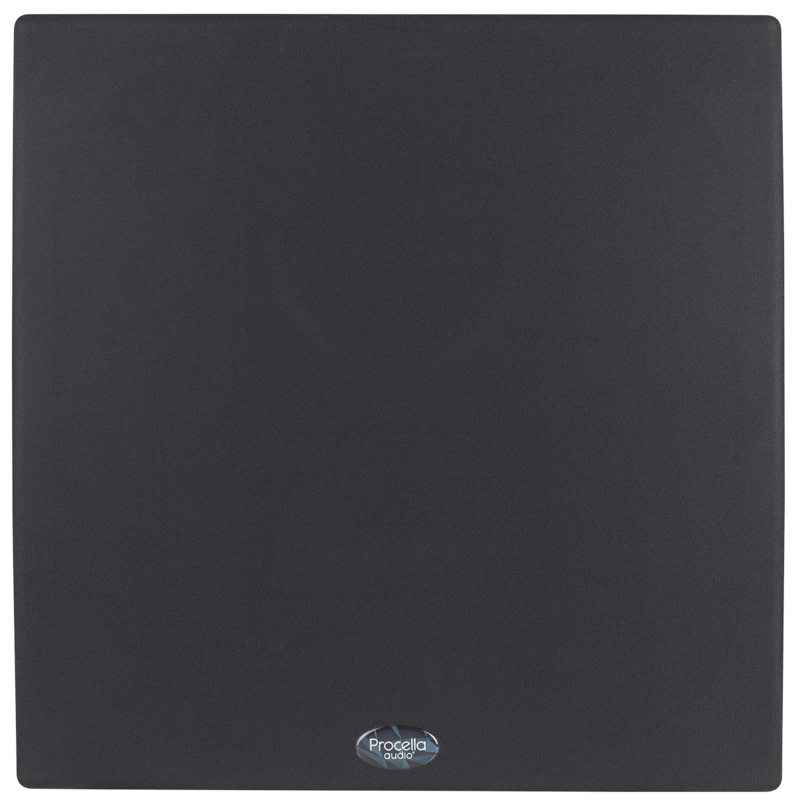 Its 1.5” compression driver and 8” high-output woofer ensure very wide dynamic range and high output levels in even the largest rooms, capable of 122 dB of continuous and 128 dB of peak output. The circular high frequency waveguide produces 90 degrees of coverage above 1.5 KHz. 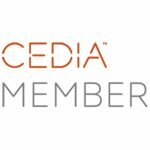 Using Procella’s wing-mount system, installation is easy and quick. 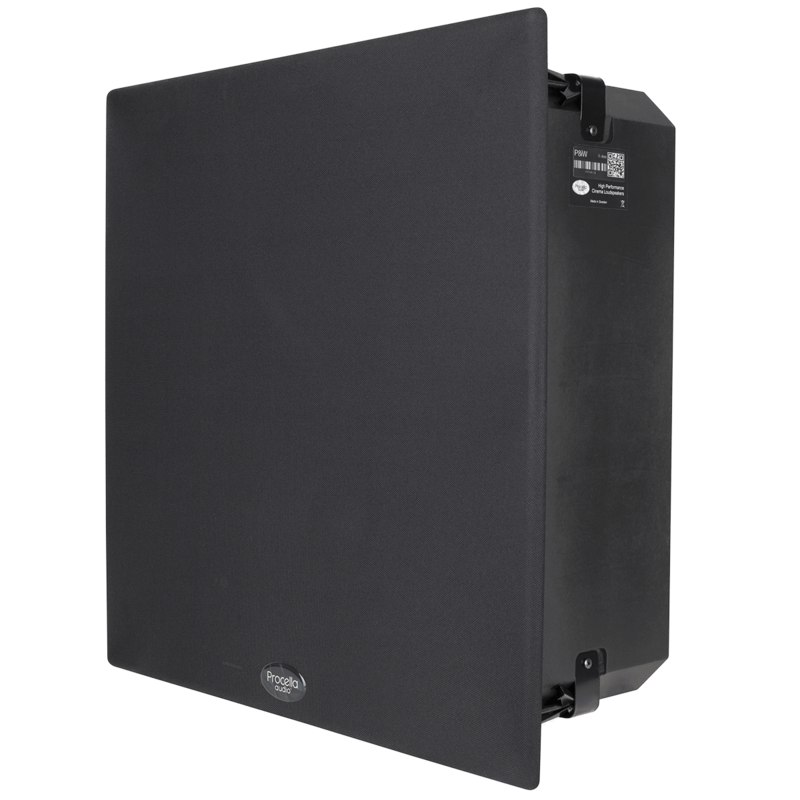 Its removable front baffle assembly contains the input terminals, drivers and crossover, making access for service a breeze. 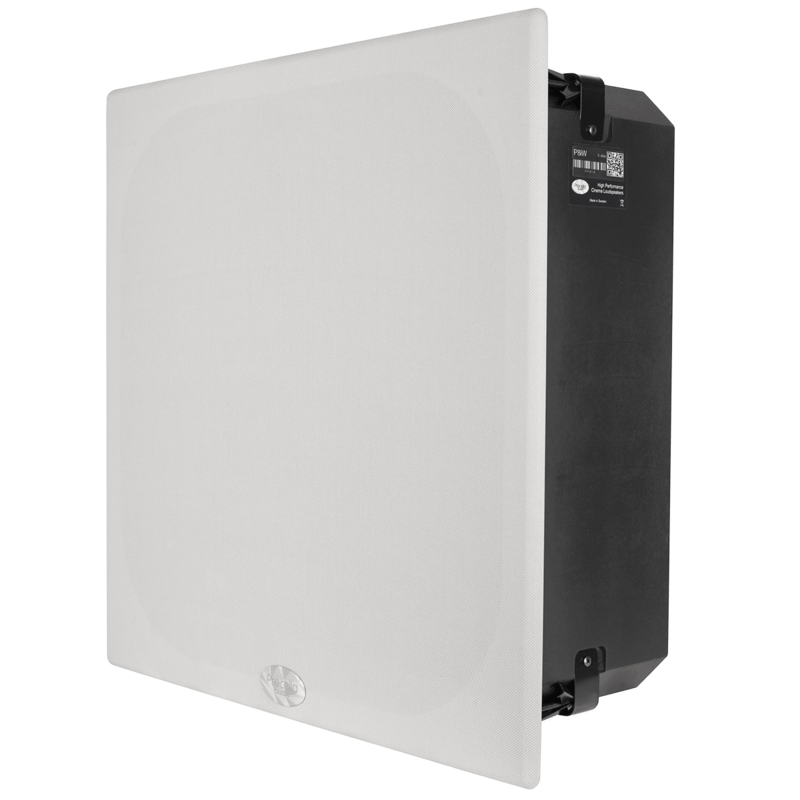 To accommodate any environment, both black and white grilles are provided with each P8iW.